Admission to OysterFest is $5 for CBMM adult members, or $18 for adults; $15 for seniors and students with ID; and $6 for children 6 to 17. CBMM members at the Family & Friends level and above also receive the $5 discounted admission for two adult guests. Food, drinks, and boat rides are an additional cost, with carry-on alcohol prohibited. OysterFest is a celebration of the Chesapeake’s oyster and this year also means the relaunch of the 1889 bugeye Edna E. Lockwood with her new log-hull bottom. 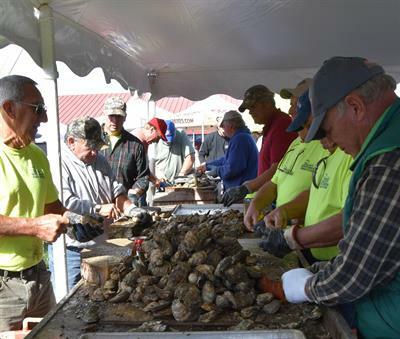 The event features live music on two stages, boat rides, retriever demonstrations, oysters and other local fare, an oyster stew competition and cooking demonstrations, along with children’s activities, oyster demonstrations, harvesting displays and Chesapeake-related documentary screenings. 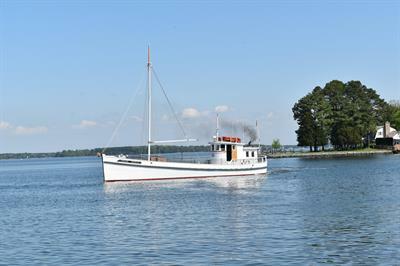 In addition to CBMM’s floating fleet of historic vessels, several commercial watermen and their boats will be dockside to share the Chesapeake Bay’s oyster dredging and hand tonging traditions. Limited boat rides with Chesapeake watermen with oyster tonging demonstrations will also be offered. 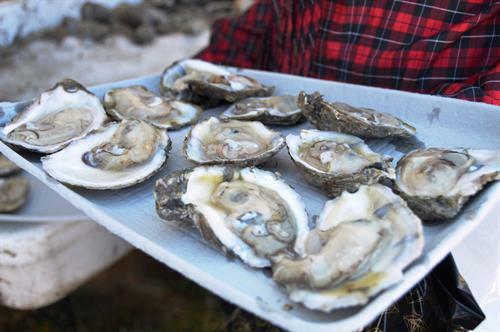 Local watermen will serve freshly caught and shucked Chesapeake Bay wild oysters, served steamed or raw on the half shell. 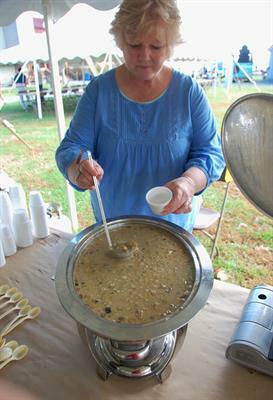 For those who celebrate oysters rather than eat them, regional food and beverages will also be offered. 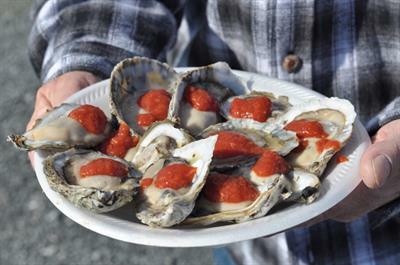 Local restaurants will perform cooking demonstrations of signature oyster dishes throughout the day, with oyster slurping contests offered each hour from 1 to 3 pm. 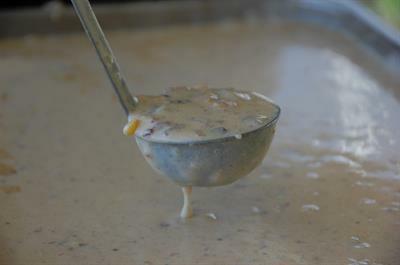 Beginning at 11 am along CBMM’s Fogg’s Cove, festival-goers can vote for their favorite oyster stew in a competition among local restaurants and chefs. Participation is limited to the first 500 on a first-come, first-served basis, with a commemorative OysterFest mug and the tastings offered for a fee. The blind taste test awards bragging rights to the chef with the most votes, with the People’s Choice winner announced at the festival and later to the public. 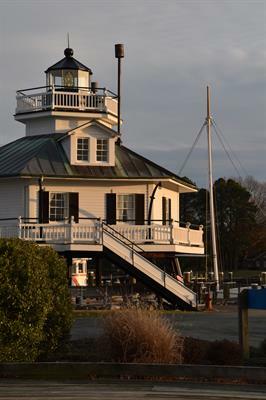 Family activities are in abundance at the event, with river cruises aboard Winnie Estelle; Chesapeake-themed games, activities, and demonstrations; a scavenger hunt; face painting; and more. Children can build a take-home model boat for $3. 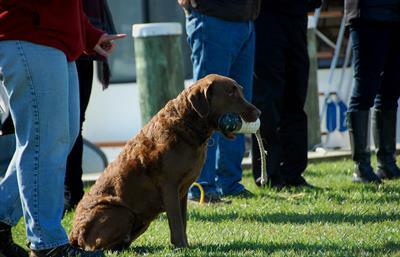 The Chesapeake Bay Retriever Relief and Rescue club will also present retriever demonstrations on CBMM’s Navy Point. 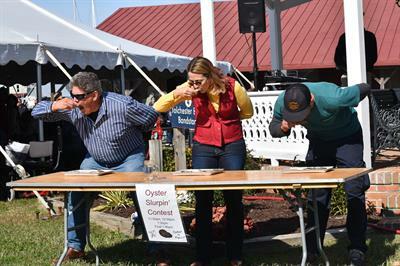 Festival-goers can explore CBMM’s exhibitions, including Oystering on the Chesapeake and Waterman’s Wharf, where guests can try tonging or nippering for oysters. Displayed dockside will be several boats historically used in the oystering industry, including CBMM’s 1889 log-bottomed bugeye and registered National Historic Landmark Edna E. Lockwood, 1955 skipjack Rosie Parks, and 1920 buyboat Winnie Estelle. For safety reasons, non-service dogs need to be kept home during CBMM festivals, with leashed dogs permitted during regular operating hours.